Summertime is right around the corner, and that means warm weather, family trips, vacations, and backyard barbecues among many other things. In addition to the warmer weather and blue skies that most of us dream of, we can also expect the usual summer showers that inevitably pop up during the warmer months of the year. Despite the heat, summertime is one of the best times of year to get outside and take care of any roofing issues that might have developed over the winter and spring, or just take care of issues that you’ve been putting off. Summer brings with it warmer weather, and the rush of homeowners seeking roofing service during the spring has died off somewhat, making it easier to schedule service. Your roof is one of the most important surfaces on your home, which makes it extremely important to take care of it and ensure that it’s well maintained. 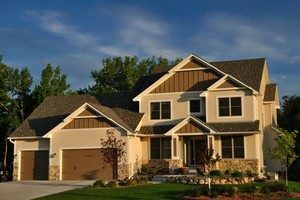 To help you in this task, our team of Middletown roofing professionals here at Serrano II Inc. have taken the time to put together a short list of the top three things you can do to keep your roof in good shape this coming summer. The gutters and drains on your home serve a very important function to the safety of your home overall, and right now is the perfect time to get up there and make sure they are cleaned out and in good condition. Your gutters and drains help to keep rainwater from pooling up on your roof with nowhere to go, and ensure that it’s channeled away from the base of your home where it can cause serious structural damage if it manages to seep into your home’s foundation. There are any number of different things that can clog up your gutters, including leaves, bird’s nests, and a number of additional items. If these are able to clog up your gutters and cause water to pool on your roof, you could be facing serious water damage in a remarkably short period of time. Take the time this summer to get up there and clean them out of any lingering debris or hire a professional to come out and do so. Keeping your gutters and drains in good shape is an investment in the safety and security of your home. Typically, if your home has suffered any kind of damage over the previous winter, spring is when you are going to notice it. However, there are some kinds of roofing damage that aren’t readily apparent until they have already caused enough damage for you to notice it on the inside of your home. Because this is always a possibility, you are going to want to take the time before the summer hits and get on your roof to look for any signs of damage that might be hiding up there. If you aren’t sure what to look for, you can always call in a professional to do the inspection for you. During the course of this inspection, you can be on the lookout for any smaller signs of damage that might not be much now, but could potentially develop into something more serious given time. Your attic’s ventilation plays a fairly significant role or keeping your roof in good condition. If you notice that your cooling bills seem to keep going up, especially compared to what they were costing you last year, it might be worth your time to call in a professional and have them take a look at your attic’s ventilation system. This is also a good time to inspect your insulation and make sure that everything is in order. Keeping your insulation and your ventilation system in good working condition can save you a great deal of money on your cooling costs this summer. If you are looking for a professional roofing contractor in Middletown or the surrounding areas, give us a call today at 845-692-2226 or fill out our online request form.